Over the years, extensive research has been carried out looking into the world of specific parasites and fungi that tend to have the tendency to use other insect bodies to grow and spread. This process essentially turns the hosts into ‘zombie’ insects, where the parasites gain full control over the host’s actions. It’s generally pretty terrifying! Parasites and fungi aren’t the only ones that stake out their victims, though! You think wasps are already horrible creatures with their painful sting and armoured body? Well, they just got a lot more horrendous. Certain species of wasps will actively seek out a host to incubate their own offspring. They lay their eggs on top or inside the victim, and as the eggs grow they feed of the hosts tissue. Victims come in the form of beetles, caterpillars, flies, saw flies, lacewings and more. Parasites infect insects, turning them into a ‘zombie’ in order to reach their intended victims. For example, the parasite liver fluke will infect ants and then control them to climb blades of grass so that cows and other farm animals eat the ant and – unknowingly – the parasite. Insects aren’t the only unfortunate victims – plants can also be infected too. Phytoplasmas is a parasitic bacteria and when a plant becomes infected with it, the flowers become leafy shoots with the petals turning green. This then turns the once beautiful plant into a mass of shoots that are also known as ‘witches brooms’, sterilising the plant. Despite the sterilisation, the plant will still attract insects seeking out sap, which then become infecting and in turn carrying the bacteria to new victims. The most common example of this behaviour is of a fungi, also known as a Zombie Fungus, which manipulates its victims, usually ants. The ants come into contact with spores that the fungi has released and infect them. Within a week, the ant will be under the control of the fungus which will then begin to grow a stalk and slowly work its way out of the dead ant’s corpse. Eventually the ant will die, to the advantage of the fungus, this is in the ideal habitat for the fungus to grow and prosper. This stalk then releases pathogenic spores into the air which fall to the ground infecting everything it touches. The parasitic Jewel Wasp is another well-known species that paralyses its victim with two stings (in this case a cockroach), making it unable to control its own movements. To ensure the wasp re-gains its energy, it cuts off the ends of the cockroach’s antennae to drink its blood. The wasp then grips onto the powerless cockroach, ensuring it follows its every move. 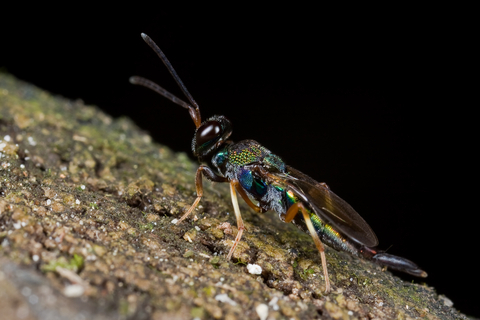 Luckily, species like Jewel Wasps do not habitat the UK. They are found in the tropical regions of Africa, India and the Pacific Islands. Unfortunately, we cannot say the same for some of the parasites like tapeworm and leeches! Parasites are found all across the world and it can be almost virtually impossible to completely steer clear of them. When it comes to parasites that seek human hosts, ensure that when you are travelling abroad you take all the necessary precautions. Get the required injections, only drink bottled water and anything else that is suggested on particular country travel information sites. Tony Bond is the Founder of Essex Pest Control who have a team of pest control experts and operate throughout Essex and East London.